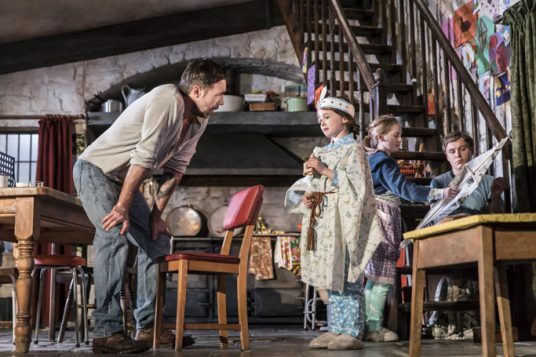 With a West End transfer already nailed down long before it even opened, this one was always going to be big. And so it proves. 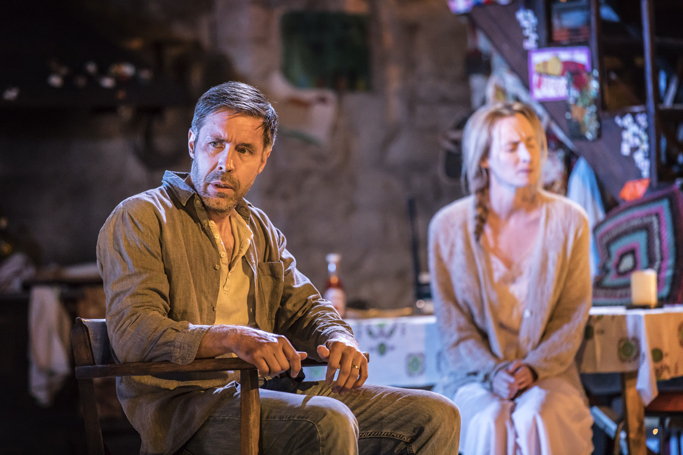 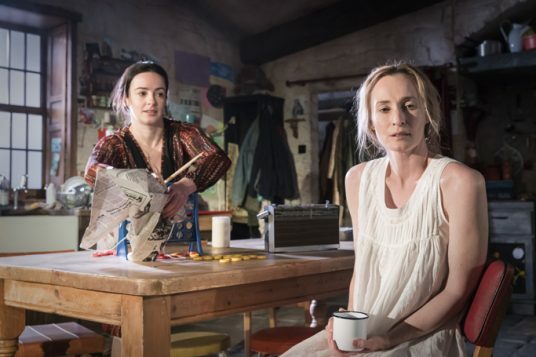 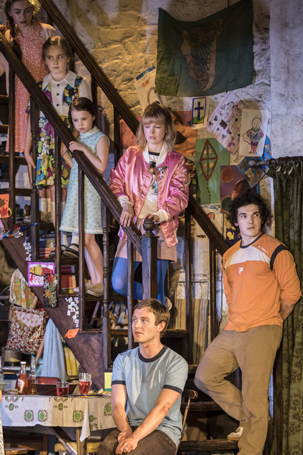 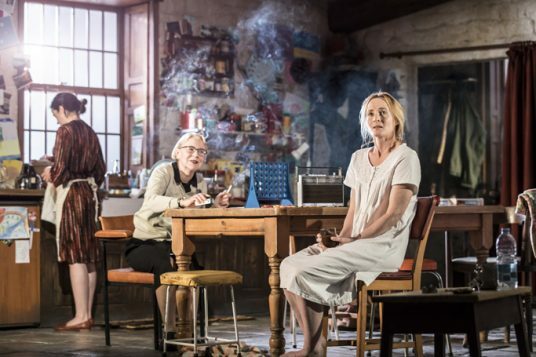 Jez Butterworth’s new play is a three-hour-and then-some epic family drama far closer in sweep and spirit to Jerusalem than his delicate 2012 play The River. 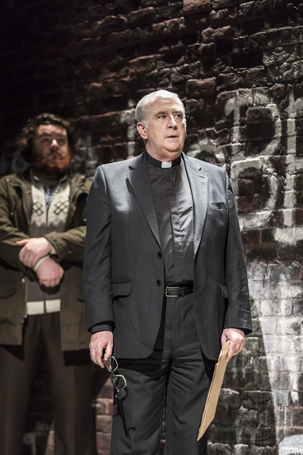 The Ferryman is set in Northern Ireland at the height of the Troubles, in 1981. 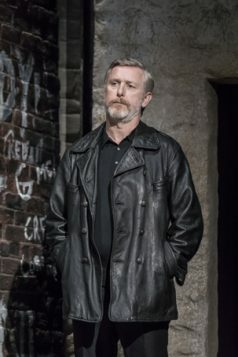 Bobby Sands is not long dead. 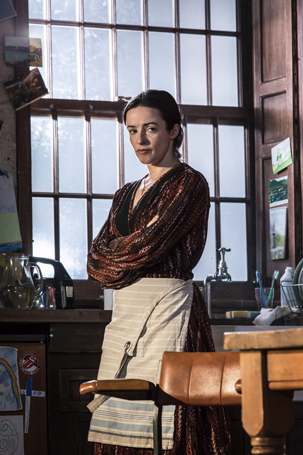 Quinn Carney long ago walked away from the IRA for life as a farmer with his wife and seven kids. Since the disappearance of his brother 10 years ago, his sister-in-law Caitlin lives with them too along with her son. 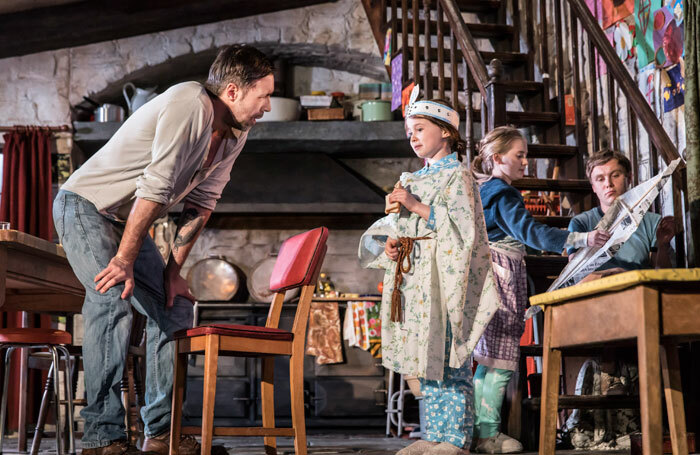 It’s harvest time and the family plans to celebrate in the usual fashion – a goose has been fattened for the occasion – but a body has just surfaced in the bogs: nothing stays buried forever. 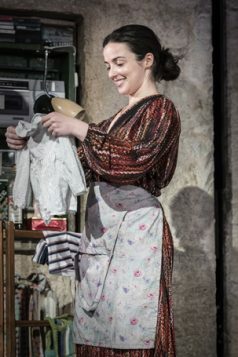 Sam Mendes, returning to the stage after helming his second James Bond film, directs a production of abundance. 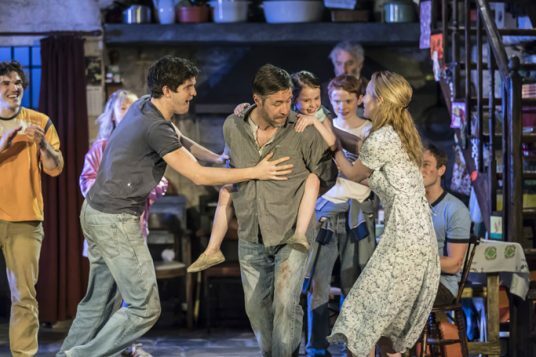 He’s excellent at orchestrating large group scenes. 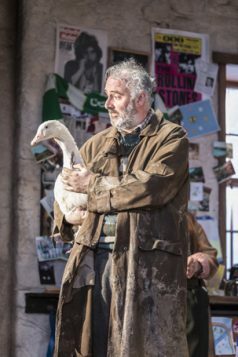 There are over 20 characters, including a whole troupe of children, numerous scenes of dancing and brawling, a real live goose and a real live baby. While there’s no one character here that’s as dominant here as Jerusalem’s larger than life ‘Rooster’ Byron, Butterworth has loaded his play with close-up studies of the members of the Carney family and their Corcoran cousins. 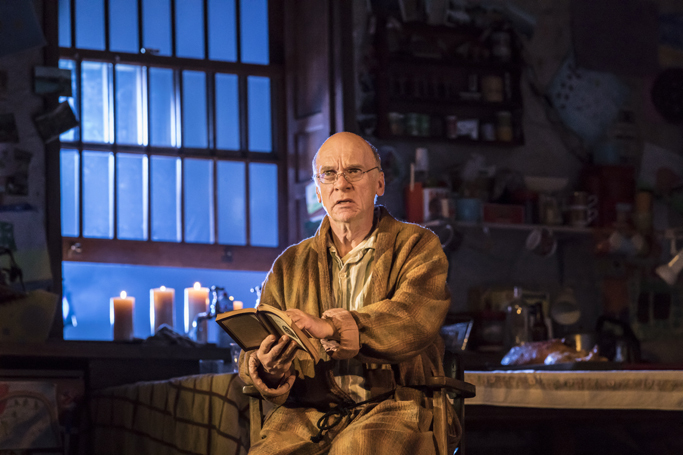 Butterworth knows how to write a memorable monologue, and the play is stuffed with them. 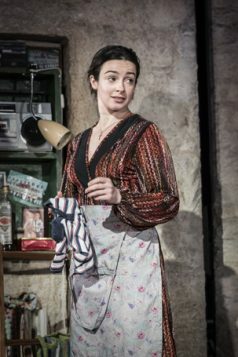 Notable characters include Dearbhla Molloy’s life-hardened, Thatcher-hating Aunt Pat and Brid Brennan as catatonic Aunt Maggie, who has moments of convenient lucidity. 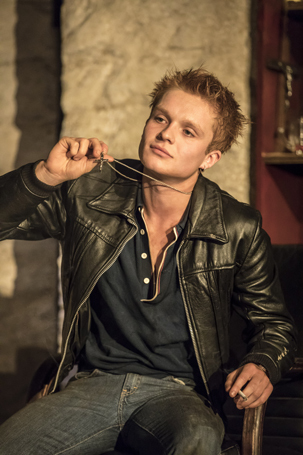 They both get rich speeches about their past; John Hodgkinson, as Tom Kettle, their English neighbour, who’s not so much slow as “unhurried”, is granted one unbearably poignant scene, while Tom Glynn-Carney gets a cracker of a speech about the unrest in Derry and the political impact of Sands’ funeral, that’s packed full of youthful heat and swagger. The acting is pretty spectacular all round. 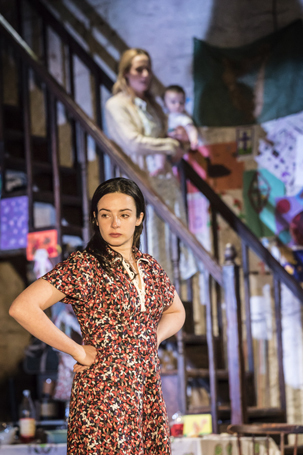 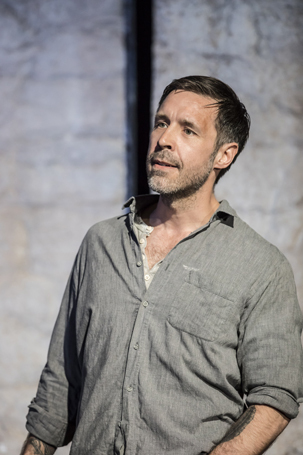 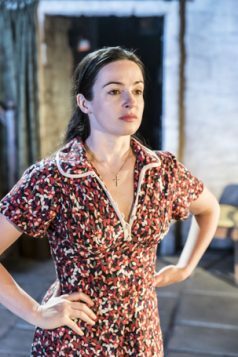 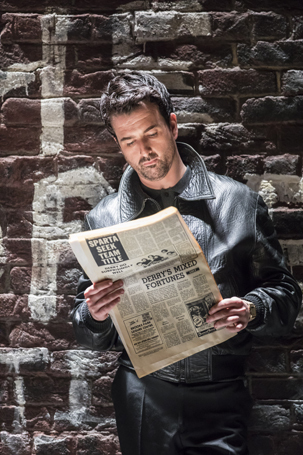 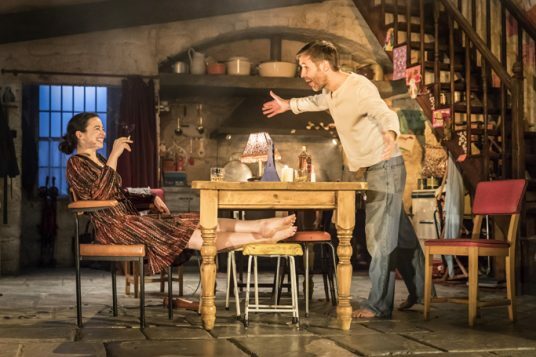 Paddy Considine, making an impressive stage debut, is contained, quiet yet charismatic as Quinn, but it’s Laura Donnelly’s Caitlin – in love with man she can’t have, while tied to man she has long since done her grieving for – who gives the play its heart beat. 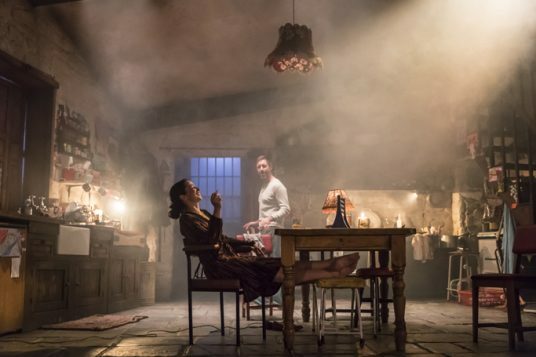 The Ferryman is a handsomely designed production too, with Peter Mumford’s lighting spilling through the windows of Rob Howell’s detailed brick-and-beam farmhouse set. Though compelling even in its quiet moments, the play doesn’t entirely justify its mammoth running time and the violent tying together of the various threads feels a little abrupt, if genuinely shocking. The last few moments are guaranteed to knock the wind out of you. In his mixing of the mythic and the modern, there’s a sense too that Butterworth is deploying some familiar tricks, but, crucially, this doesn’t really matter: they’re brilliant tricks and, after all, that’s what magicians do.